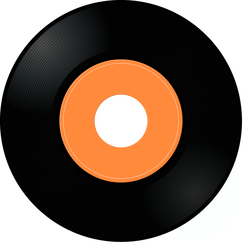 ​Lines are drawn on the Top Ten Songs of the Week for Wednesday, December 20, 2017 with Mike and the Moonpies landing in the number one spot as they map out a course to take a break and wind up broke on “Beaches of Biloxi”. 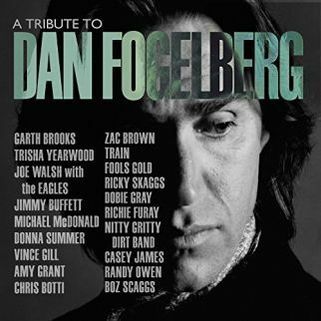 Ruby Boots crosses out the coming holiday with an X as she sings “I Slept Right Through Christmas” while Nora Jane Struthers shows the thin line between hope and “Belief”, Little G Weevil follows the line for good times way down south for “Something Poppin’”, and The Nitty Gritty Dirt Band are joined by Richie Furay as they cross the finish line in “Run for the Roses”. 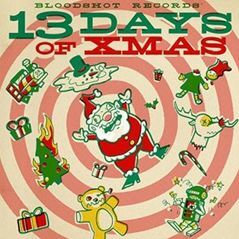 Kelly Hogan comes in with a holiday cut from the Bloodshot Records compilation, 13 Days of Xmas, Richie and Rosie sing a song to “Honey Bee”, and Abe Partridge draws outside of the line with “Colors” as he burns with love on a stark melody. 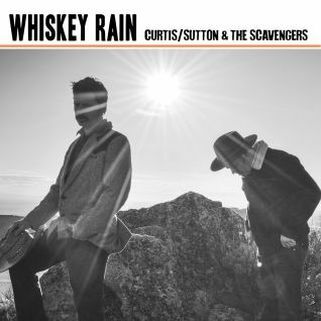 Charlie Sutton and Ryan Curtis met in Boise, Idaho, forming The Scavengers to back the western breeze that carries the scent of “Bacon and Beans” from Curtis/Sutton and the Scavengers on the Top Ten Songs of the Week for Wednesday, December 20, 2017. Visions of a vacation sun and a little love get blurred by a night of losing on the river boats of Mississippi as Mike and the Moonpies warn of the danger signs sticking out of the sand on the “Beaches of Biloxi. 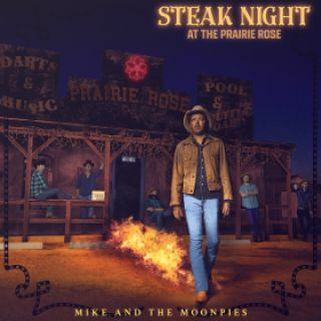 The tune is from the upcoming (February 2, 2018) release from Austin, Texas’ Mike and the Moonpies, Steak Night at the Prairie Rose. 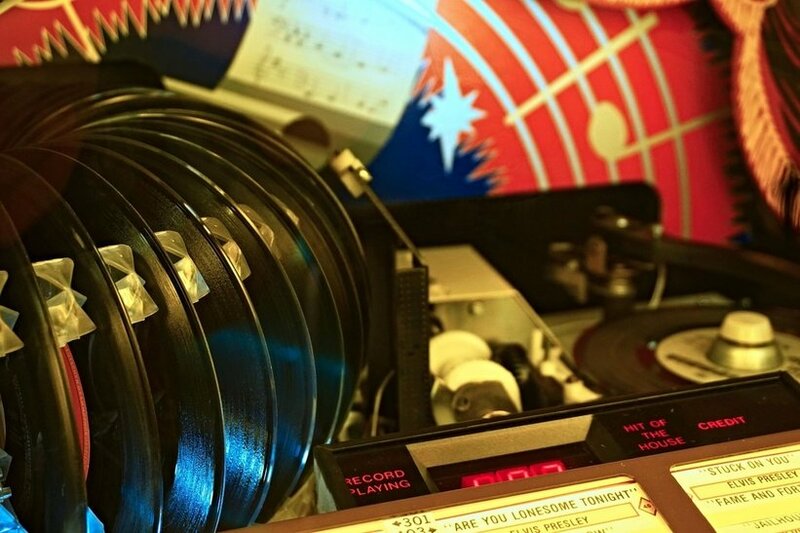 After making sure that the holiday is still trending, Bloodshot Records have decided to jump in and release their first holiday compilation in the label’s twenty-year history. They use the release to give a sneak listen to a new signing, Ruby Boots, who will release her first album for the label, Don’t Talk About It, on February 9, 2018, and is on our list with “I Slept Through Christmas” from 13 Days of Xmas. Namechecking a tent show choir, Chris Daniels and the Kings sing a love song to Memphis, Tennessee as they cross the Mississippi River Bridge into “Sweet Memphis”. 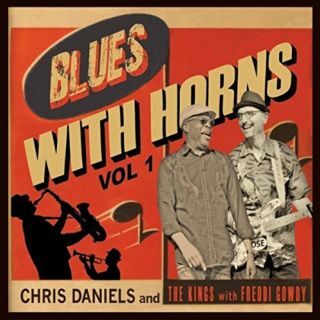 Horns pop as harmonies wrap around Chris Daniels as he is joined by The Kings featuring Freddi Gowdy with a track from their recent release, Blues with Horns, Volume One. Ryan Curtis escaped the urban sprawl of Los Angeles looking for some wide-open country while Charlie Sutton was seeking some big city lights when he left the farmlands of Northern Idaho. The pair became neighbors and then bandmates, backing their western Roots with scratchy rhythms from The Scavengers for “Bacon and Beans” from their recent album release, Whiskey Rain. ‘Tis the season where the magic in the air is filled with wishes for a better world and gifts wrapped in pretty paper. Nora Jane Struthers is sensitive to holiday cheer though she points out the there is a divide between hopes and “Belief”. 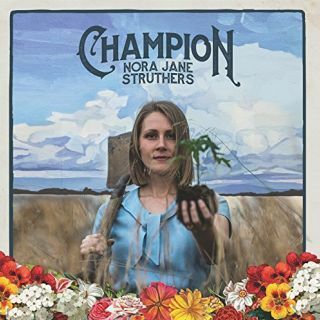 She advises to stoke the fire in your belly and to march forward with determination on a cut from the recent Nora Jane Struthers album, Champion. 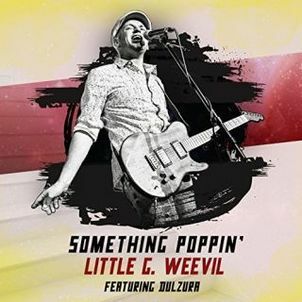 Jazz and Blues are in the rhythm with the guitar work matching both style as Little G Weevil revs up the title track from his recent release. Little G Weevil loads the beat in the ​backseat as he heads way down south to find “Something Poppin’”. Echoey piano notes fall like drifting flakes from the dark of the sky outlined in “Blue Snowfall”. The sad seasonal song comes from Kelly Hogan, who finds herself all alone on a December evening. The track is one of the presents that make up the first-ever holiday release from Bloodshot Records, 13 Days of Xmas. Images are alive in the words of Mobile, Alabama’s Abe Partridge as he fills the scenes in his song with “Colors”. 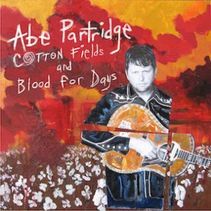 He is drawing outside the lines on a track from the recent Abe Partridge release, Cotton Fields and Blood for Days. The thriving old-time music scene in Ithaca, New York drew Rosie Newton to relocate from her home in Woodstock, NY. Richie Stearns was an established musician in the scene, releasing solo albums and backing Jim Lauderdale, Natalie Merchant, and Carrie Rodriguez with his banjo. 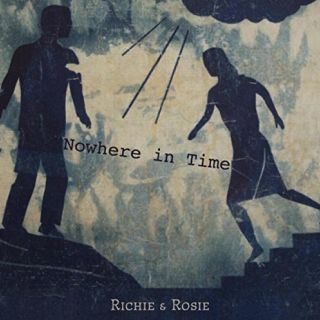 Richie and Rosie pair up on the recent release, Nowhere in Time, and on the Top Ten Songs of the Week with “Honey Bee”.